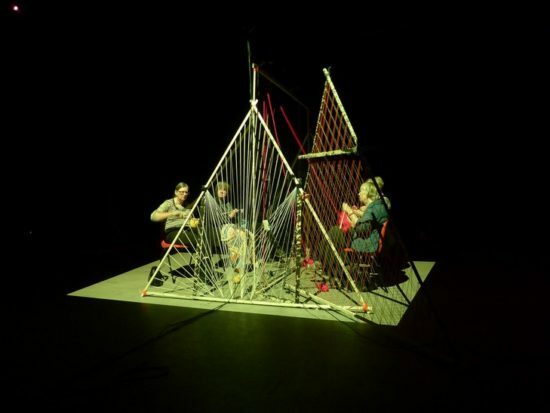 Above: Multi Breath Poly Pipe played by Rita Evans and Le frut vert, at Banff Centre for the Arts, 2018, Visual & Digital Arts Residency. Still from video documentation. Scroll down for audio visual documentation. See documentation of this instrument and its details as an installation here. 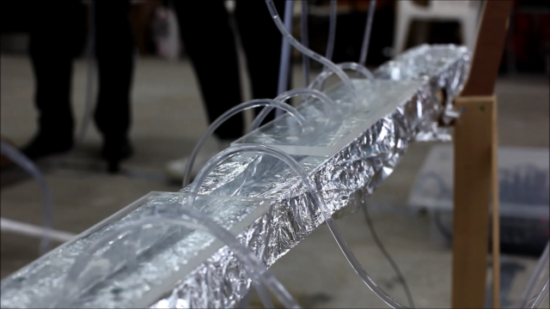 This instrument and sculpture is based on the structure of coral, a porous body for multiple players. In a shared air chamber, the sounds of breath and liquid clash, collide and/or accumulate. 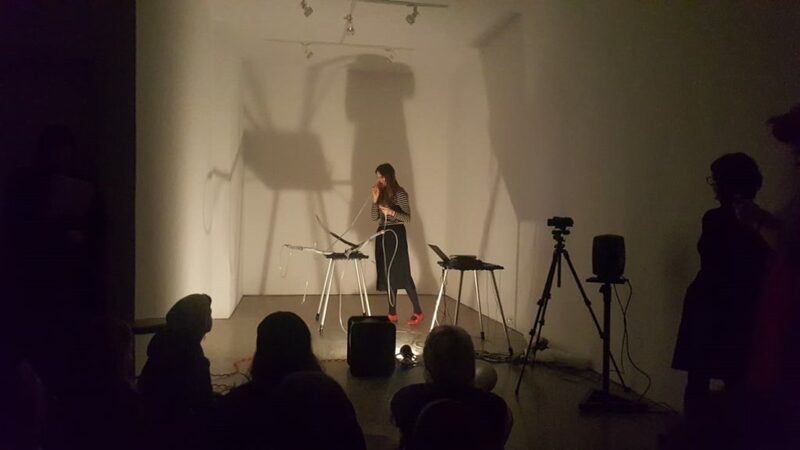 This improvisation is an attempt to sonically shift the object from animal to plant to mineral in collective breathing waves, its inner chamber amplified into the space, with tectonic bass, beats and static tubular feedback. 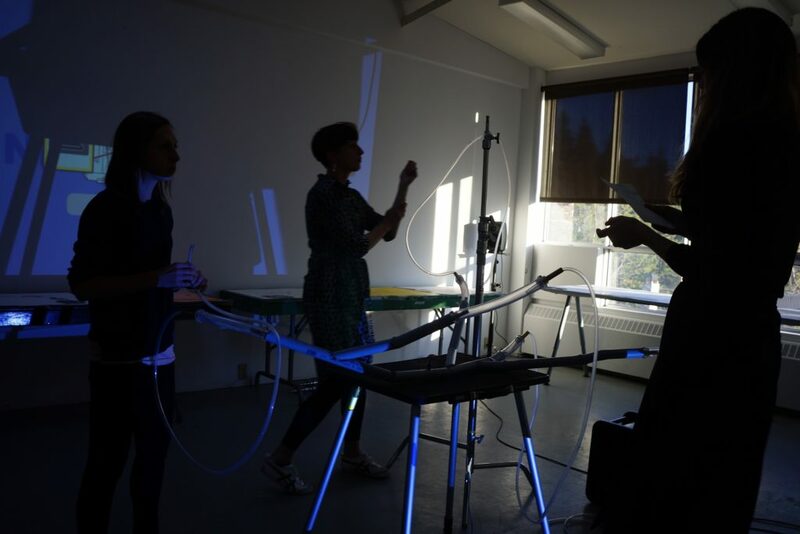 Multi Breath Poly Pipe Activation 2 at Banff Centre for the Arts, 2018, Visual & Digital Arts Residency. 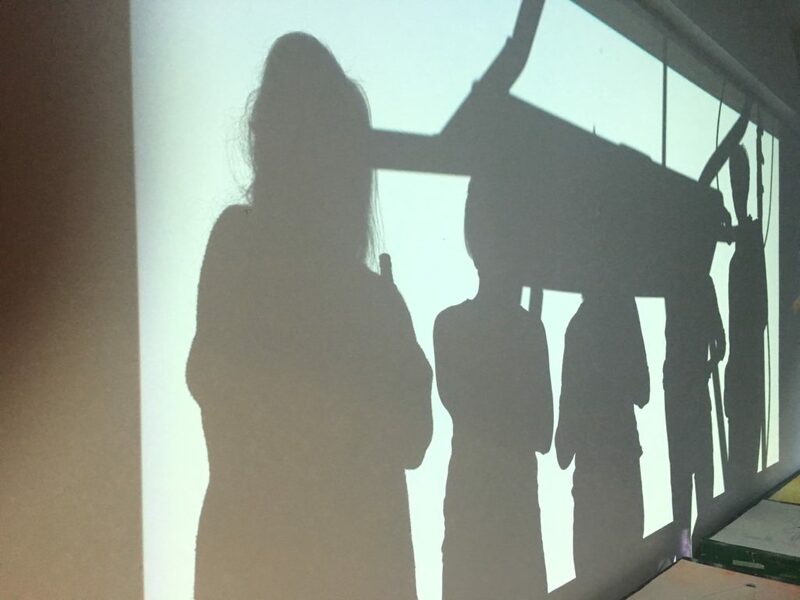 Live projections and shadows of performers with pipes of instrument. 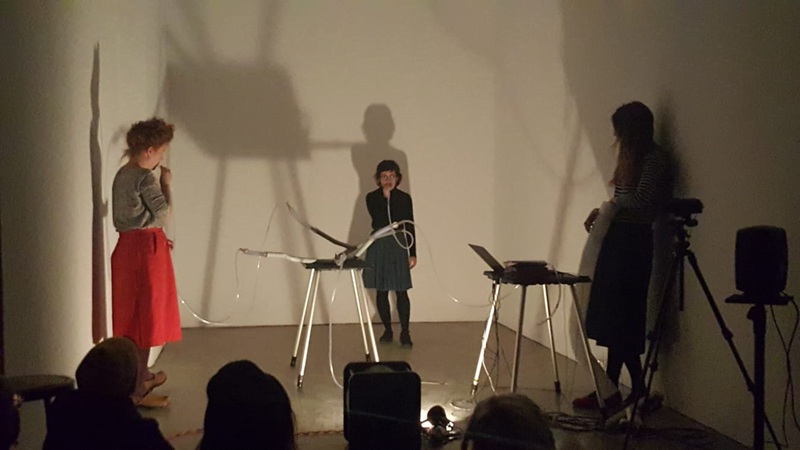 Multi Breath Poly Pipe performance at Banff Centre for the Arts, 2018, Visual & Digital Arts Residency. Played by Rita Evans, Nicole Shimonek and Vikki Wiercinski. Installation of Poly Pipes at Banff Centre for the Arts and Creativity Open Studio, Fall 2018. Preparing for live performance. Photo Bradford Reed. Installation of Poly Pipes in Banff Centre for the Arts and Creativity Project Space, 2018. Photo Tyler Burton. Video clip from Multi Breath Poly Pipe performance at Banff Centre for the Arts, 2018, Visual & Digital Arts Residency. Played by Rita Evans, Nicole Shimonek and Vikki Wiercinski. 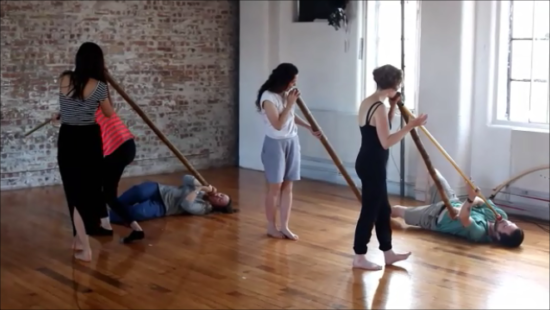 Video clip from Multi Breath Poly Pipe performance at Banff Centre for the Arts, 2018, Visual & Digital Arts Residency. Played by Rita Evans and Le fruit vert. Video clip from Multi Breath Poly Pipe performance at Banff Centre for the Arts, 2018, Visual & Digital Arts Residency. Played by Rita Evans.